Winners: The team from Midland ATI Martial Arts and Fitness Centre. 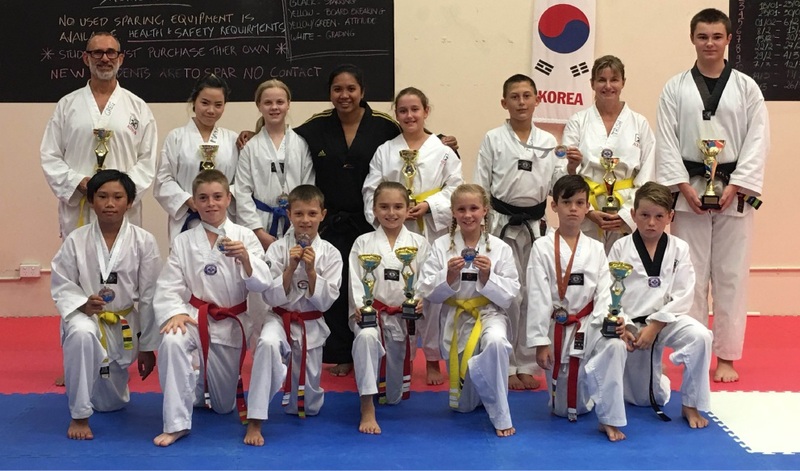 Held on March 20 at the Belmont Recreation Centre, the Taekwondo championships were for Poomse and Kyorugi (sparring). In the Poomse, which means a collection or set of movements or patterns the team scored seven first place titles and two second places. In the Kyorugi section there was one first place, four second places and one third place. The students train for three hours a week and compete in events all year in various parts of WA. They are currently training for the National titles and the State titles. Students can train from the age of three. Trainer Chalitra Baunach said the team had trained hard and deserved the excellent results. “I am passionate about these students’ results,” she said. She is a 4th Dan Master.